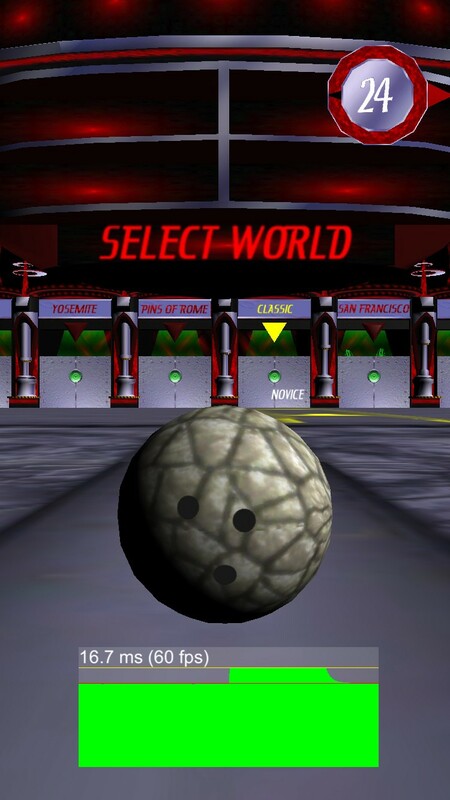 When I took over for the original lead programmer on the HyperBowlattraction game over fifteen years ago, one of the first things I did was to add an on-screen frame rate display. I wish I had a screenshot — it was an obvious kludge using a copy of the timer display for the FPS. I like to see the frame rate as I’m developing and testing a game, and as soon as you see it dip somewhere, you know you need to fix something immediately if you want to stay under your target frame rate. And it’s much more effective to give the artists and designers an on-screen FPS display than to keep verbally reminding them, hey, restrain yourselves! (the sixth HyperBowl lane was something like five times bigger poly-wise than the first lane). It’s kind of like those street signs that show how fast you’re going and tell you to slow down when you exceed the speed limit. I don’t use the old Unity GUI, anymore (and for that matter, GUIText is old stuff), but there are some spiffier alternatives on the Asset Store. For example, there’s a free one called FPS Graph Analyzer (and a $2 version which supports HoloLens). 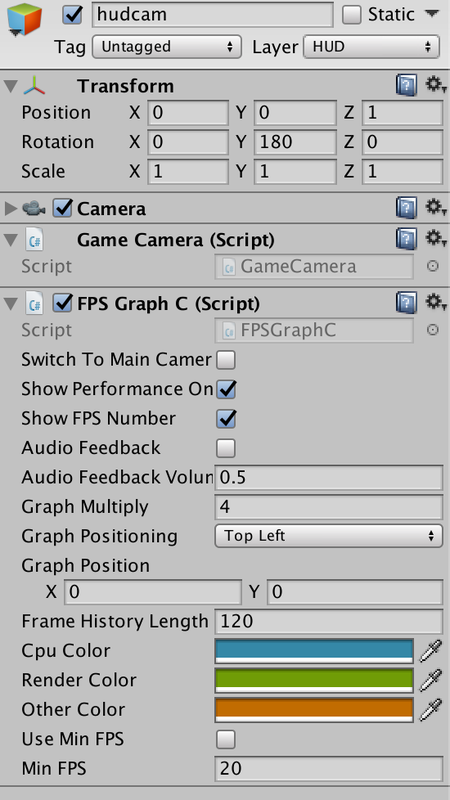 It’s easy to use, just drag a prefab into the scene, adjust the size as necessary, and instant frame rate bar graph! For $5, you can get more features and a fancier display with FPS Graph, such as audio feedback of the performance. It also displays CPU and render time. 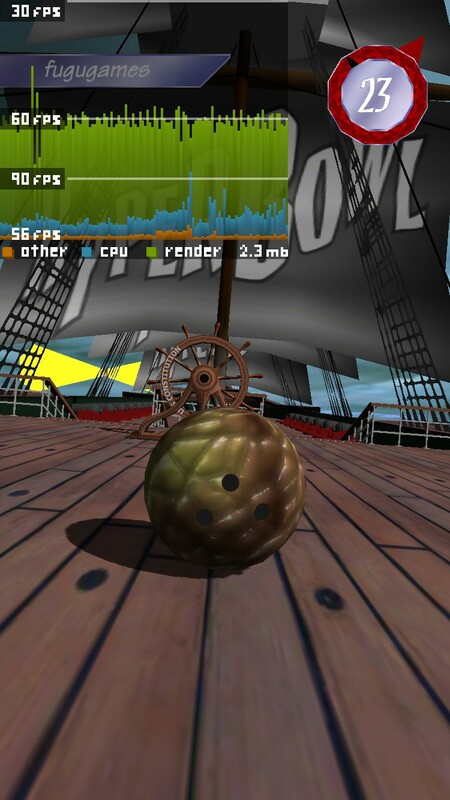 I ran it though all of the original HyperBowl lanes on my iPhone as an exercise in confirming Moore’s Law. When I started the Unity implementation of HyperBowl eight years ago, I could barely make the smallest lane run at 15fps. Now, everything runs fairly consistently at 60fps!